New figures show that China imported more wine by volume and value in 2016 versus 2015, with France and Australia leading the way. In 2016, a total of 482 million litres (642m bottles) of bottled wines were imported into China, with a value of 2 billion USD (3.42USD/bottle), according to fresh figures released by Chinese customs this week. The number has increased by 22% in volume and 17% in value compared to 2015. Australian wines scored a 40% increase in volume and 23% increase in value in the year 2016. China reduced the import tariffs on Australian wines to 8.4% in 2016, as part of a free trade agreement between the nations (ChAFTA). Although the actual impact on costs was still ‘limited’, the agreement has ‘given great confidence’ to producers, importers and distributors, said several trade observers in a recent group Interview with DecanterChina.com. From the beginning of 2017, the import tariff on Australian wines has dropped to 5.6%, and will reach zero at the beginning of 2019. The country’s official wine body, Wine Australia, said that the trade is set to ‘seize the finest hour’ to promote its products in China. With an extra 25 million litres of bottled French wines entering China in the year 2016 versus 2015, France kept its dominance as the primary source of imported wines in China. It currently occupies a 40% share in volume and a 44% share in value of the total market, albeit down from the peak of 2011 (49% by volume). Australia, Spain and Chile followed, all on similar volumes. However, their average prices differ sharply, from 1.97USD per litre for Spanish wine to 6.83USD per litre for Australian wine. Shanghai remains as one of the two top ports for imported wines in Mainland China, receiving 29% of bottled wines in 2016. Guangzhou, with its proximity to Hong Kong, received 25% of bottled wines from abroad. 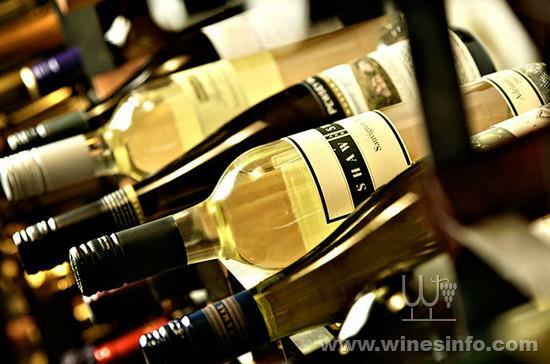 Guangzhou also has the highest average price per bottle, at 7.60USD per litre, among the top 10 destinations for imported wine, custom figures showed. While imported bottled wines are showing significant growth in China, bulk wines remain roughly the same in volume compared to 2016. However, it’s worth noting that the average price per litre of bulk wines has increased by 16%, suggesting generally improved quality in the lower-end of the market.